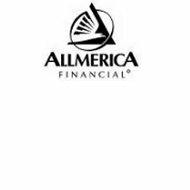 First Allmerica Financial currently operates as a subsidiary of Commonwealth Annuity and Life Insurance Company, which is owned by the Goldman-Sachs Group, a leading international investment banking, securities, and investment management firm based in New York. First Allmerica Financial is based in Southborough, Massachusetts, where it recently moved from Worcester, Massachusetts. The company originally was mainly a life insurance provider; however, its product focus changed after some financial struggles in the late nineties and early 21st century. Compare health insurance rates from First Allmerica with those of other companies in your local area. Enter your zip code here for a list of health insurance rates from several leading providers. First Allmerica Financial was originally founded in 1844. The company sold life insurance as its main product for well over one hundred years. It was formerly known as the State Mutual Assurance Company. In 1995, it was incorporated as a stock company and its name was changed to First Allmerica Financial. First Allmerica also underwrites insurance products for The Hanover Insurance Company and Citizens Insurance Company of America. Some sites state that it has now fully merged with Hanover Insurance and has been renamed The Hanover Insurance Group. This may only be true though certain insurance divisions such as auto and homeowners because there is no evidence of health insurance being sold on the website for The Hanover Group. When searching for First Allmerica’s website, you are redirected to the website of The Hanover Group. The company’s top competitors in the insurance business are the American International Group and the State Farm Insurance Companies. Although First Allmerica was very profitable as a life insurance company throughout most of the 20th century, the company fell on difficult times beginning in the late 1990s. In 1998, First Allmerica was sued as part of a class action lawsuit claiming they misrepresented aspects of their life insurance sales. First Allmerica maintained its innocence but agreed to settle out of court for a monetary sum. After this, First Allmerica’s stock prices began to drop. In 2002, they reached an all time low of $7-8 per share. The company was close to bankruptcy and under close scrutiny from the state insurance board. In 2003, under the leadership of Frederick H. Eppinger, the company changed its focus from life insurance to other aspects of the insurance business including health insurance, accident insurance, and variable annuities. By 2003, First Allmerica was showing a profit again and their stock prices had climbed to $35 per share. Today their assets total over $1 billion. Recently, a leadership change at First Allmerica occurred and Mark A. Hug took over command of the company. First Allmerica currently has an A.M. Best rating of A-, which is considered excellent, an S&P rating of A-, strong, and a Moody’s rating of A2, good. These ratings have risen over the past few years as First Allmerica’s financial strength has shown improvement. If you need to contact First Allmerica about health insurance or any of their other products, you can do so by phone or by mailing or faxing any necessary paperwork to the company. You can also get insurance quotes, file claims, or get general information about the insurance company and its products via these methods. While First Allmerica seems to be making a comeback and has stabilized a great deal financially in recent years, it has still had a turbulent decade and many changes have taken place within the company. It is difficult to find a lot of information online regarding First Allmerica or its products. The company does not have its own website, but instead is link to the website for The Hanover Group. For these reasons, one should be leery about choosing First Allmerica as your healthcare insurance provider. Get health insurance quotes from providers in your state. Click here now and enter your zip code to use our free tool to get a list of health insurance quotes.